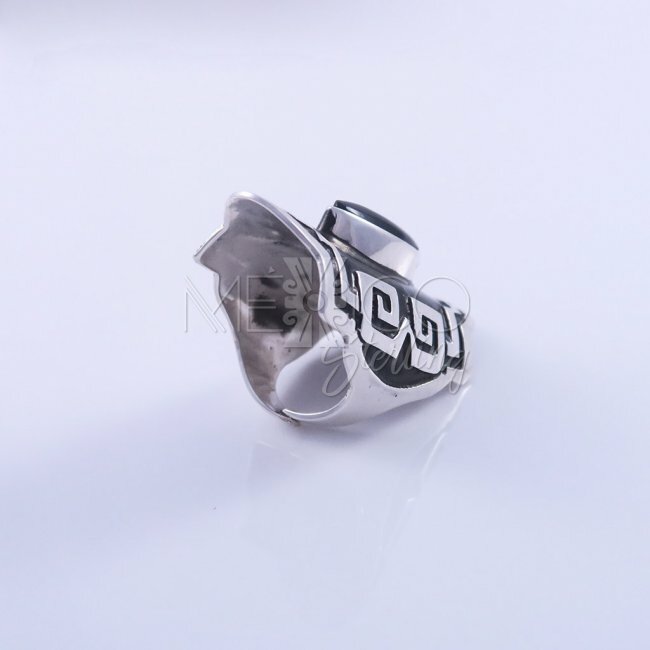 Silver Mayan Dream Adjustable Ring [RNG3353] - $75.00 : Mexico Sterling Silver Jewelry, Proundly from Mexico to the world. 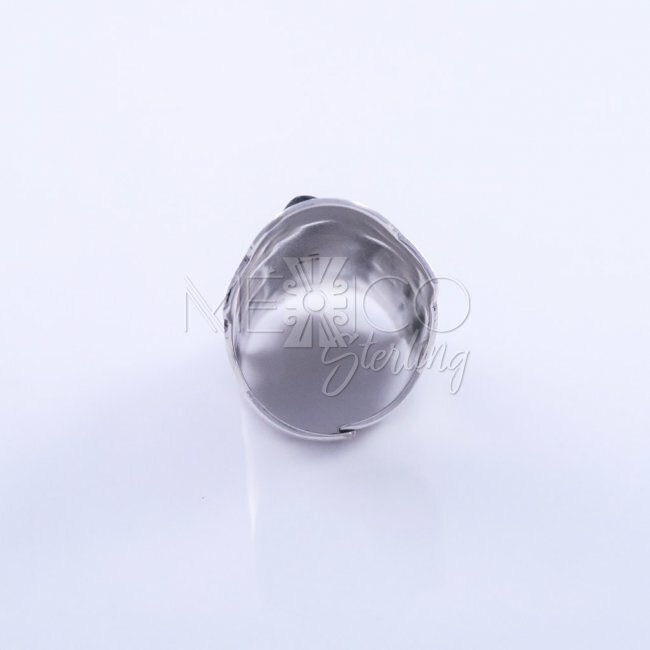 Great example of artisan silver jewelry making from Taxco, Mexico. 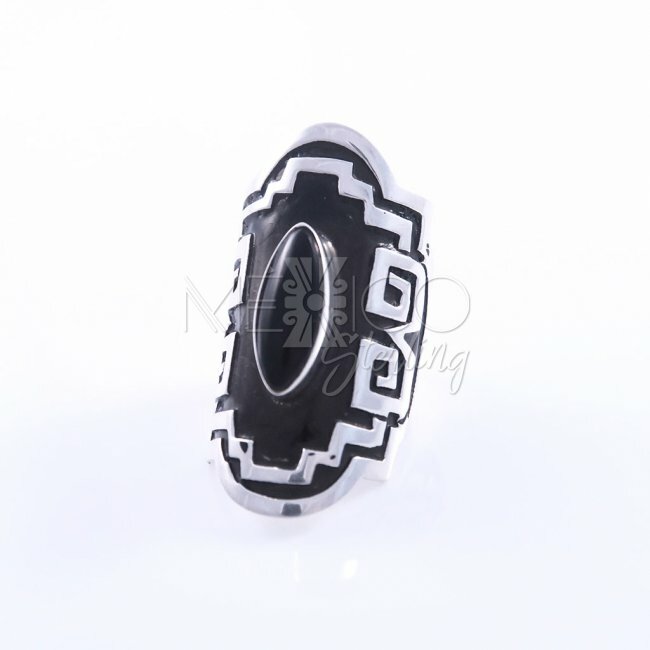 This is a gorgeous statement ring that takes us back in time to pre-Hispanic times. 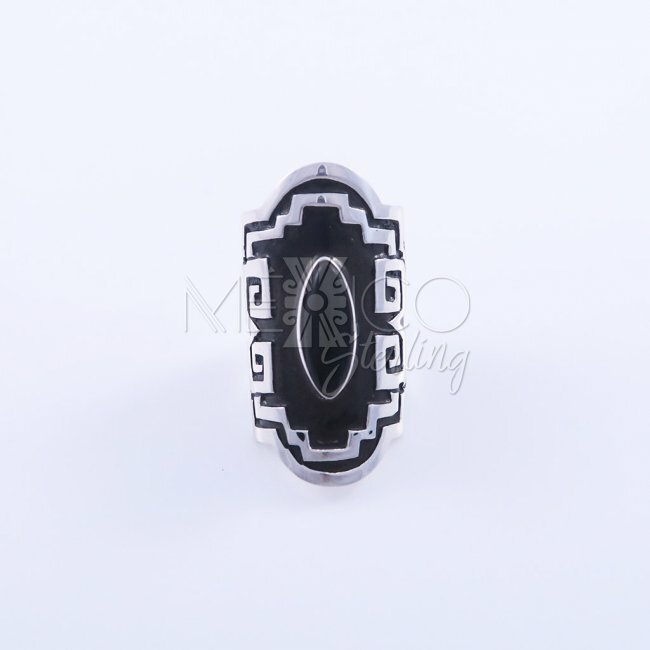 All the beautiful borders that enhance this ring, are inspired by ancient Mayan buildings, art and artifacts. 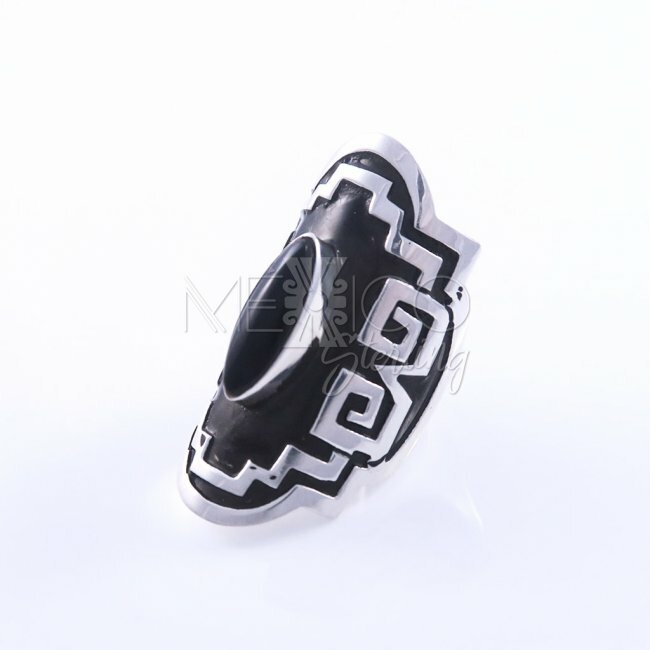 This silver ring embraces my Mexican heritage in just one spectacular silver design. 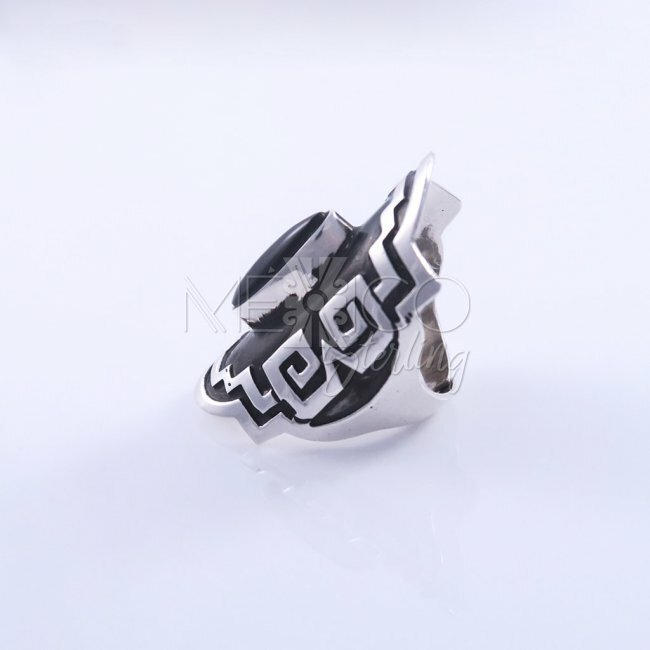 This silver ring catches your attention right away, due to a couple of nice features. 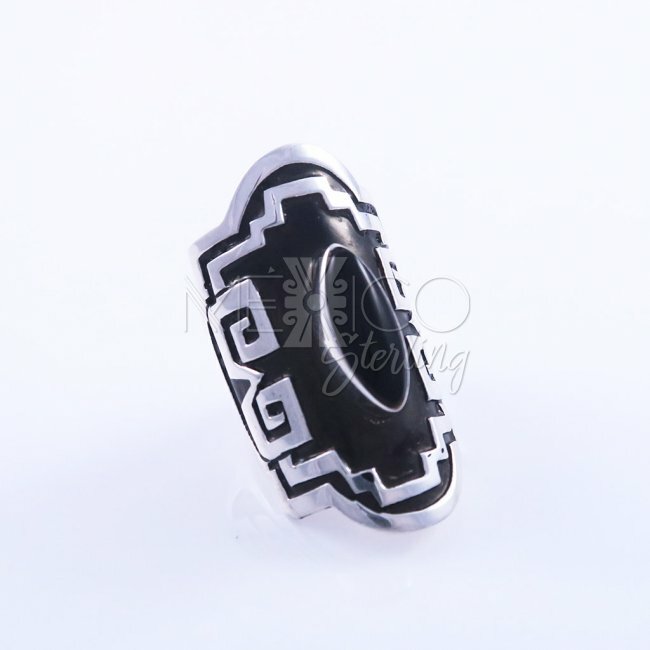 The centerpiece decorated with a nice seed shape natural Onyx stone, The oxidized silver is all over the central view, adding so much beauty, by enhancing the silver borders even more and adding a nice contrast and depth to the whole composition. Completely handmade, with excellent workmanship and beautifully finished. 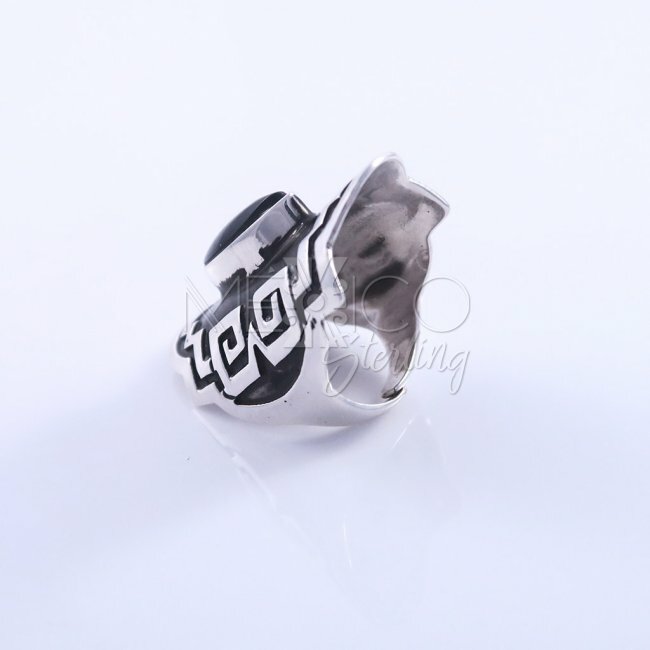 It is a sturdy silver ring and substantial in weight for its built. Definitely an eye catcher. 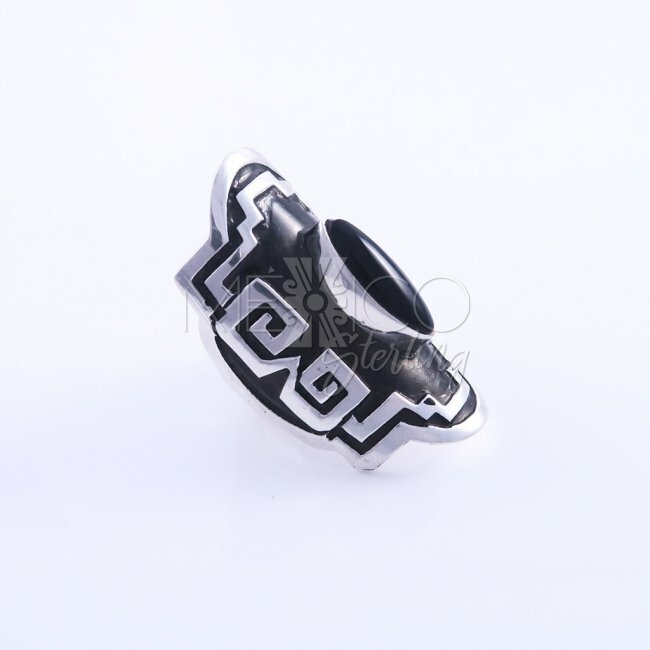 This Mexican silver ring is unisex, I think it would look nice in either a man or a woman. It is also adjustable and it can go from a size 6 up to size 12. Please take a look at the extra photos, for more details on this beautiful ornamental jewelry piece.